We have a long tradition of feeding hungry children in our community through the Power Pack program. Every month, a different age group of Jack and Jill packs nutritious snacks and food that are discreetly given to children before they leave school for the weekend. For many children, these Power Packs are the only food they will receive until they return to school on Monday. Jack and Jill provides 600 Power Packs to children at South Avondale Elementary School and the Boys and Girl Club in South Avondale. 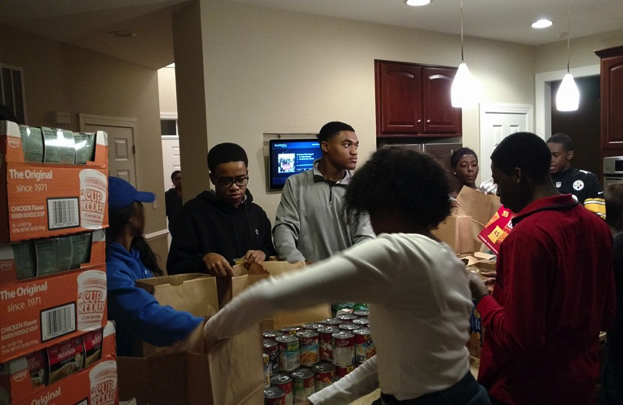 Another tradition is a multi-age group service event before Thanksgiving where our children go grocery shopping for needy families in our community. 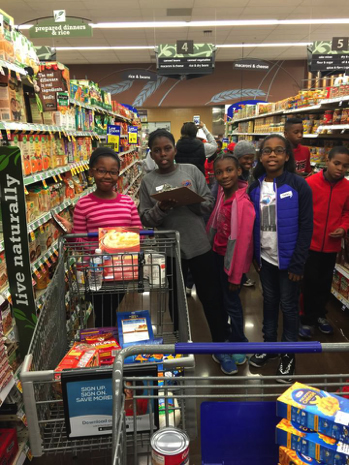 Our children are given a budget and an extensive list to supply a family’s Thanksgiving meal and staples. Last year, we provided for many families. To celebrate the Rev. 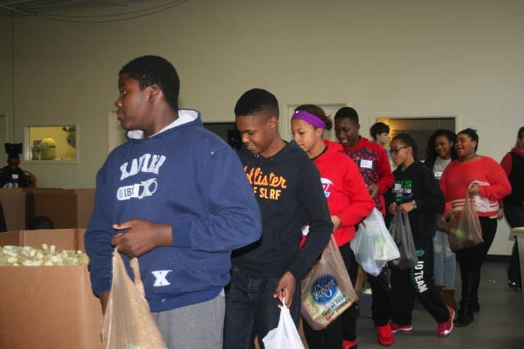 Martin Luther King Jr.’s birthday and the national day of service in his honor, Jack and Jill families come together at Matthew 25 to serve others. This year, our senior teens recycled paint that will be used for homes in the developing world. The rest of the children and parents prepared personal hygiene kits from products donated by area companies. This service project will benefit an estimated XXXX people.